Τι είναι o Φωτομαραθώνιος ? What is a Fotomarathon ? Fotomarathon is an action that encourages people to view and explore their own city in a new and different perspective. The aim is to challenge peoples’ creativity in an intriguing way: the participants are given a 4 hour period to take photographs. 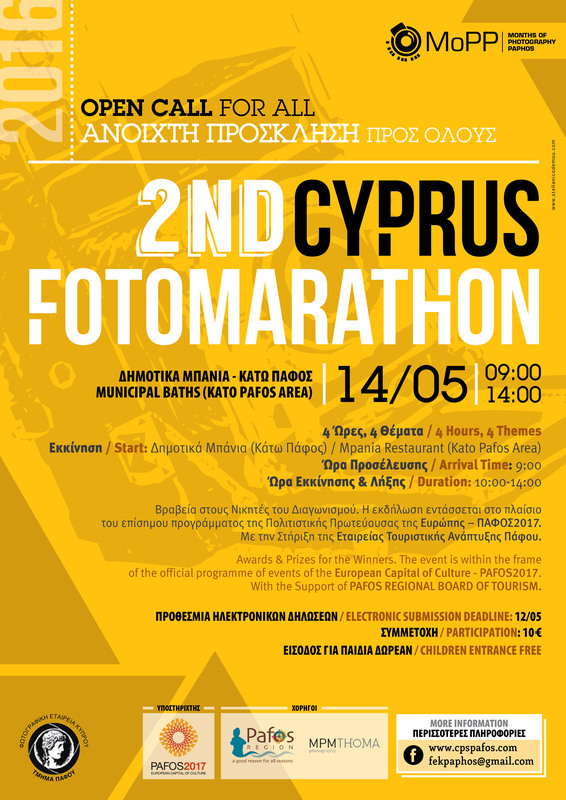 The 4 themes will be reveald to them on the start of the Fotomarathon. The idea is for participants to be creative, spontaneous, original and have fun. Anyone can participate – even with a camera phone!